When we talk about qui tam litigation, whistleblowers, and the Federal False Claims Act, some people think it’s primarily related to the healthcare industry. While the healthcare industry certainly makes up a chunk of the active lawsuits, especially those under the Federal False Claims Act, there are other areas where whistleblowers could play an important role. One of these involves wildlife crime. The U.S. Justice Department notes that wildlife crimes are often similar to drug trafficking and smuggling schemes. Wildlife crime can take a variety of forms – logging and plants, fishing, or poaching and trafficking. And, it doesn’t even have to be international to qualify as animal trafficking. In 2015, a hunter from Georgia was ordered to pay $1.6 million in restitution and fines after he was caught trafficking live white-tailed deer from his hunting preserve in Florida to his preserve in Ohio. There are a couple of wildlife protection laws that could be of importance, especially as they contain sections on monetary rewards for whistleblowers. The Lacey Act was passed in 1900, and it was the first federal law that protected wildlife. Under the Lacey Act, it’s illegal to sell, acquire, export or import, or buy fish, plants, or wildlife that are possessed, sold, or transported in domestic or international commerce if this results in a violation of state or foreign laws; or is in violation of Indian laws. The law was amended in 2008 to include more plants and related products, including products made from wood that was illegally logged. 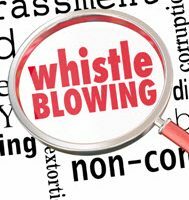 Another law of note is the Endangered Species Act which, like the Lacey Act, allows for monetary rewards for whistleblowers. Agencies like the Departments of the Interior, Commerce, Treasury, and Agriculture, the National Marine Fisheries Service, and the Fish and Wildlife Service, can pay a reward to anyone who discloses important (and original) information that relates to wildlife crimes, and this information ultimately results in some type of enforcement action. However, while these laws exist, they are not necessarily utilized in the same manner as qui tam litigation under the False Claims Act. And, because whistleblowers don’t have the same confidential protections as they receive under other whistleblower laws, like the SEC program, not as many people are willing to step forward. If these situations become more commonplace, it could become an incentive for other whistleblowers to step forward. Wildlife crime is big international business, and could involve mafia-like tactics, especially when you are talking about big game. It is estimated that rhino poaching rose 9000% between 2007 and 2014. In 2007, only 13 rhinos were killed by poachers in South Africa whereas 1,215 were killed in 2014. Other potential whistleblower actions may include legal importation of wildlife products, but with failure to pay customs duties. A recent whistleblower case involved a million-dollar damage award against a garment wholesaler in New York whose business partner imported goods from China and consistently underpaid customs duties. With Florida being a hotspot for international shipping and wildlife-related crimes, there is ample opportunity for whistleblowers to come forward. If you are privy to something that appears to involve illegal activity, it’s important you reach out to a knowledgeable Florida whistleblower attorney. Let our lawyers guide you through the process and determine whether there is any actionable claim that falls under any whistleblower causes of action. Contact the office of McCabe Rabin, P.A. today to schedule a confidential consultation.